A Joyful Abundant life is not a Mystery ...it is the Mastery of Matter! Are you frustrated because all your good intentions seem to dissipate right before your eyes? I get it....I know that depleted depressing life....yet I also know how to change it. How would you like to Raise your frequency to be in alignment with the abundant universe; so you actually have what you wish for and desire? Imagine what it would be like to be a free spirit and have a peaceful mind, happy heart, strong vibrant body, and radiant soul! I can take you safely on that journey where life changes for the better...where you discover and get to be you; thriving in abundance of all wonderful things through your unique passionate purpose. What Matters most to you is what you will create; where your attention goes is where the energy will flow! Awaken, Acknowledge, Accept, Release, Repair, Restore, Align and Activate the Real You! A journey to return to the Real You who still exists; simply shrouded by conditioning. Now is the time to let go of Victim to be Victorious and live a joyous, abundant life with these 8 guided steps that can effortlessly change your life. Each step consists of empowering high frequency tones, moving color and other abstract or relative images to uproot and kick out the cause and culprits embedded in your subconscious that obstruct your intended abundance of wealth, health and love from manifesting! All you do is watch, listen and follow the guidance! "Be here now...you have to show up first before the life you desire does!" What is your present state of consciousness? What level of consciousness are you living in? Are you feeling powerless lost and confused; wondering why you don't get what you want? Are you frustrated with all your attempts to try to make your dream or vision show up? Or are you a bit further along and understand you can effect change; yet not in full continuous practice; meaning you have yet to launch your dream life, or are having trouble keeping it afloat. You are not being forced to do anything nor do you have to force anything...you simply are in the grace of the flow of forces of life; and it all works for you rather than against you! You live an enchanted life that feels like a full time vacation in a beautiful environment doing only what makes you smile. "There is a reason you were put here on earth; whatever that reason is, you have to be yourself to fulfill it! You are the Mindful, Meaningful Master of Life! We have a spiritual, mental, emotional and physical body. All bodies must be balanced so they can unify in an harmonic order for our life aspects of health, wealth and relationships to fully function at their greatest potential. The spiritual, mental and emotional bodies dictate what we get or don’t get in the physical, depending on whether they are aligned and working together or they are at odds with one another; that results in being unfulfilled in one or more aspects of our life. One aspect or more may be fully functioning from a higher consciousness and working with and for you; as well as one aspect or more may be in a more dense frequency; causing you to experience lack , scarcity or limitations. When this is the case; life can show up as insufficient funds, inharmonious relationships, health concerns , or just not fulfilled with your present situation; all causing you to feel frustrated, stuck and struggling with confusion. This is what we term the lower consciousness meaningless mess...all or one part of life appears to lack joy and have no worthwhile meaning. 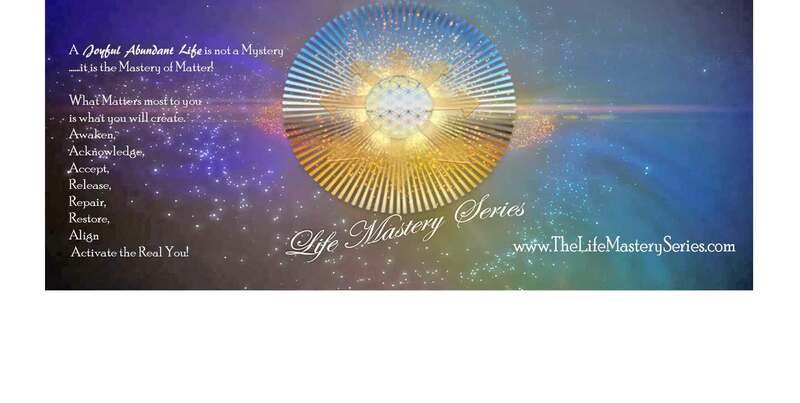 And this is what we intend to transform thru the magical manifestor by dissolving all that keeps you from being fully aligned with and plugged into your super consciousness; that creates your desired outcomes; this is the real you, the Soul Star; the magnifcent masterpiece. Discover which aspects of your life are plugged in and firing on all pistons; strong and supportive, but more importantly which ones aren't and need your presence to awaken, acknowledge, release, repair, restore and align your thoughts and feelings with your desired outcome. This is what activates your super conscious soul star to launch your light legacy; so you are free to joyfully live a meaningful life by sharing your gifts to uplift humanity. Acknowledge who you really are...let go of who you think you should be! Know and Accept your natural gifts and talents. Embrace what really makes you happy...stop being driven by what you perceive you should do or be! Discover your true life passionate purpose ...don't miss your awesome adventure by spending your life doing what you hate! Restore your self-trust....be the authority in your life! 30+ yrs Life Liberating Guidance Coupled with Effective, Powerful Skills, Tools and Techniques to align and activate the real you who will change your world! You will be inspired, encouraged and supported in your development and unfoldment, as Eloryia's heart's intention is to help you become a whole, self-confident, self-trusting, heart centered individual who is clear on what you want and courageous in taking the necessary steps to let go into the flow to live all your dreams. Eliminate the struggle of lack and change your life from pain to Passionate Purpose! Your Road Map to Letting go of blame, control and separation. Be free of what you think you should be; to be your authentic self...the Master of your Life! Be a magnificent masterpiece...Live in alignmment of the flow of the natural forces of life....stop forcing and simply invite and allow your dreams, desires and intentions to show up through beauty, grace, ease and comfort. "It's not who you are that holds you back; it is who you think you are not!" Be free of the control of what you think you should be; to be in full flow of who you really are ...the Magnificent Masterpiece; the Meaningful, Mindful Master of your Life! Don't be snoozing while the rest of us are cruising...Get your audio / video book download to get Started Now!